The Santa Eulalia festivities will be celebrated this year the weekend of the 10 to the 12 of February. Santa Eulalia is a popular celebration celebrated in different places of the city, mainly in the district of Ciutat Vella. The main patron saint of Barcelona is La Mercè, whose festivities are celebrated in September, but Barcelona has a co-patron, Santa Eulàlia, which allows Barcelona citizens to enjoy all the typical traditions of the popular festivals in the middle of winter. 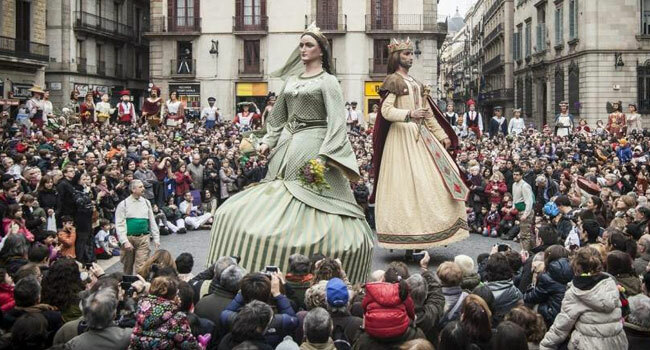 That’s why the Santa Eulàlia festival is also known as the Barcelona Major Winter Festival. For the festivities of Santa Eulàlia all the popular bestiary is brought out: gegants i gegantes, capgrossos, dragons, devils … and other expressions of the Catalan culture as they are the castellers (declared Intangible Heritage of Humanity by the UNESCO) and certainly a show worthy of seeing; or the Sardanes, the traditional Catalan dance. 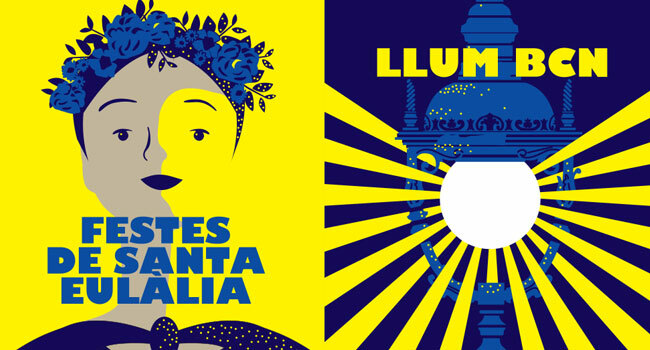 At the same time, during the festivities of Santa Eulàlia, for the last few years the light festival Llum Barcelona also takes places. 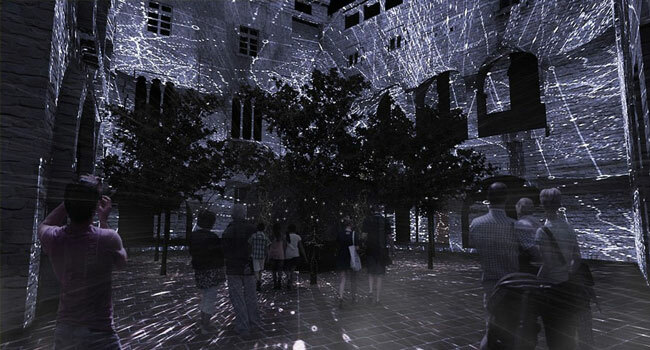 Llum Barcelona awakens in the afternoon, when darkness arrives, and light installations that give new forms to emblematic spaces of the city are projected. More information and all the programming can be found on the official website. Book now here and get the first breakfast free!